Smartwatches are cool (if rather geeky) gadgets, and they’ve yet to really capture the hearts of the general public. But perhaps that’s about to change, as Huawei reckons it knows how to make the public full in love with the wrist-worn wearable. TechRadar sat down with Huawei’s President of Consumer Strategy, Shao Yang at CES 2017 to find out what the Chinese firm believes will see smartwatches adorn wrists around the world. 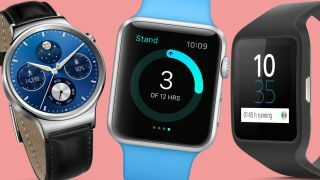 Yang went on to say that the lack of regularly used features and short battery life were hampering the smartwatch’s ability to be truly accepted by users. The solution? Increase battery life and stuff them full of features. “We’re looking at how we can extend smartwatch usage with three to four days of battery life, and adding phone calling capabilities which can work independently from a smartphone,” Yang said. In short Huawei wants to remove the reliance the smartwatch has on your smartphone, making them independent devices in their own right and a piece of tech you’ll have to have. Thing is, we’ve already seen some feature-packed smartwatches and they have flopped. LG’s Watch Urbane LTE is a prime example of a connected smartwatch which struggled to make it out of the factory, let alone onto people’s wrists. There has also been a number of Kickstarter projects which have attempted to put a smartphone into a smartwatch – devices such as the Neptune Pine and Rufus Cuff – but again they failed to really deliver and gain traction. It leaves us wondering if Huawei’s idea of stuffing smartwatches full of features really will result in consumers using the wearables more consistently – especially with the restriction in screen size, battery capacity and processing power. Yang wouldn’t say exactly when we can expect another wearable from Huawei, but the second half of 2017 looks like the most likely time for this potential wearable revolution.